The NYC-based collective Proxy Design Studio is “an innovation-focused design firm that works across a range of scales and platforms.” This is the slogan you’re greeted with upon visiting their website, and it quickly becomes apparent, as projects in the fields of design, sustainability, research and construction are front and center. 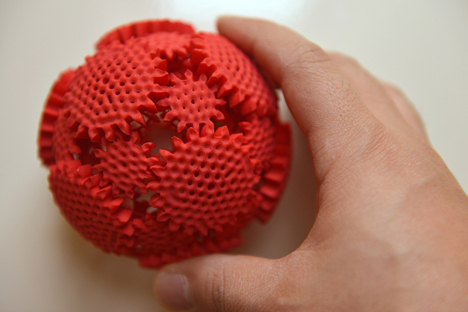 One of their impressive smaller-scale projects is the Mechaneu, a 3D-printed toy. Important features of the Mechaneu are strong plastic material, 64 interlocking gears and no required assembly. The fun little gizmo also has the highest amount of detail that can be used in commercial printing, and its webpage very haughtily expounds: “The structure pushes the limits of most commercial print services. 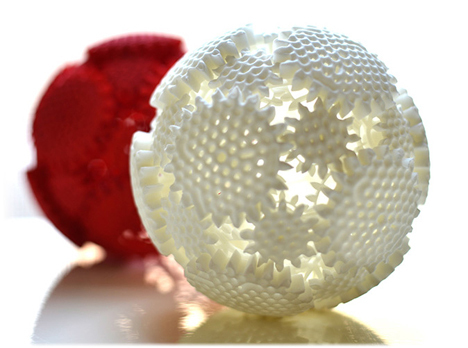 Mechaneu v1 is a limited production art object that will simultaneously push forward and exemplify the current epoch of 3D printing.” Big words for a little object.